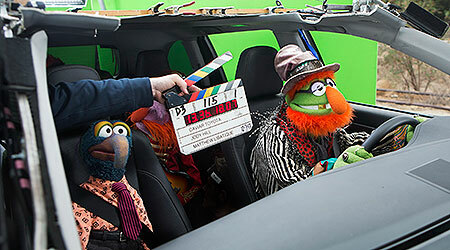 The Muppets gang is in for a wild ride when they join forces with Toyota this year, blending Toyota's exciting 'Let's Go Places' spirit with Muppets mayhem. 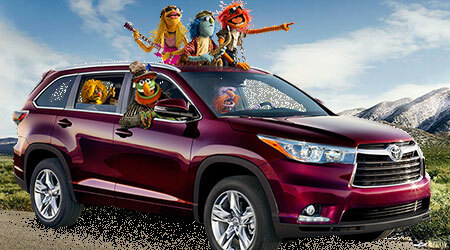 The collaboration celebrates the upcoming Toyota Highlander launch and the Muppets' all-new big-screen adventure "Muppets Most Wanted," in theaters March 21, 2014. Disney's Muppets will hit the road with Terry Crews, star of the Golden Globe®-winning FOX series "Brooklyn Nine-Nine," in Toyota's new commercial for the all-new 2014 Toyota Highlander. The 60-second spot, entitled "Joyride," will make its broadcast debut during Super Bowl XLVIII on Sunday, February 2. "Our game-day spot shows how Toyota Highlander puts the 'fun' in function," said Jack Hollis, vice president of Toyota Division Marketing at Toyota Motor Sales, U.S.A., Inc. "Toyota vehicles are built to last and can even endure the most boisterous Muppets, a former NFL player as well as a center console full of chickens." 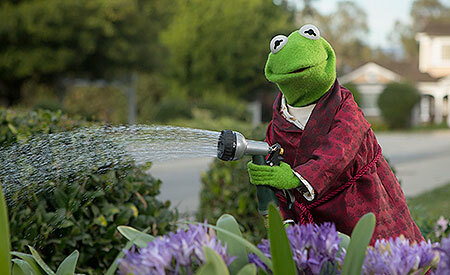 With their over-the-top personalities, the Muppets teach Crews' character a thing or two about "unborifying" his lifestyle as they "borrow" his sweet ride, the Toyota Highlander. The spot features humorous hijinks, dancing and surprises-and no Muppet caper would be complete without an original song. Viewers will see that with seating for up to eight human passengers or more than a dozen Muppets, the all-new Toyota Highlander has plenty of room for everything-everything except boring. "We're always game for a wild ride," said Kermit the Frog, who makes a special appearance in the campaign, "as long as Animal's not driving. He doesn't quite get the whole concept of brakes." Crews, who played six years in the NFL as a defensive end/linebacker, is known for his roles and appearances on television shows such as "Arrested Development" and "The Newsroom," and films "The Expendables" franchise, "Bridesmaids" and "The Longest Yard." "It's truly an honor to be a part of this wild ride with Toyota and the Muppets," said Crews. "The Toyota Highlander is the perfect vehicle to teach my character how to loosen up and have some fun. Be prepared for some laughs on game day." In addition to the commercial, the Muppets gang will provide real-time updates as they travel to the big game in their Toyota Highlander on February 2. Fans and customers are invited to chat live with the Muppets on game day by tweeting @Toyota or using #NoRoomForBoring. The broadcast spot and social media activities were developed in partnership with Saatchi & Saatchi LA, Conill and 360i. "Joyride" will air during the second quarter of the game. Beyond the Super Bowl, the Toyota and Disney collaboration will see the Highlander co-starring with Muppets stars from "Muppets Most Wanted" in an advertising campaign showcasing the vehicle's features, functionality and "unboring" personality. Starring Ricky Gervais, Ty Burrell and Tina Fey, the film takes the entire Muppets gang on a global tour where they find themselves unwittingly entangled in an international crime caper. "We all grew up with Kermit and the Muppets, and that makes Toyota's collaboration with Disney very special for us," said Hollis. "The two brands share a focus on delighting guests, and this allows us to take them along on a fun ride." "We're excited to work with Toyota for the first time," said Don Gross, vice president, promotions The Walt Disney Studios. "The Muppets' classic mix of high energy and heart matches perfectly with Toyota's spirit of adventure, and Kermit, Gonzo and the whole gang look forward to many zany road trips."